So Christmas is over, overspending, over-drinking, over-eating, overdosing on old films flickering across the TV. The Christmas leftovers are finally used up – thank goodness! The recycle bin is overflowing with boxes, wrapping paper and empty bottles, and half the needles have dropped off the tree. We’re in the trough of the post-Chistmas slump, already trying to poke into the mind’s darkest recess the horrible prospect of the next credit card bill and the extra weight the mince pies have put on us in all the wrong places. Or maybe we’re anticipating 2016 and what it holds in store for us. The PCS (post-Christmas slump) is always a good time to plan a holiday and think of sun, sand and sea. Which sadly brings us back to those mince pies – this body is definitely not beach-ready. Maybe I should think about working out, getting a bike, going on a diet? January 1st 2016 is rapidly approaching and it’s time to think about those New Year resolutions. First of all let’s talk about love and kindness, which is what Christmas is all about, isn’t it? We’ve all donated to food banks, the Salvation Army’s Christmas Present Appeal, put extra tins and packets in the local sanctuary’s collection box. We all love our families and chose thoughtful gifts for them. We would do anything for them. We have pets. They all got Christmas gifts too. We consider them family. Most of us love animals and are kind to them. We hate cruelty. We want to see people who’ve done cruel things to animals punished. When we shop we like to buy high welfare meat and dairy. We are kind people and so are our friends. “He/she wouldn’t hurt a fly” we say of each other. And it’s true. But there’s one massive black hole in our consciousness, into which has fallen the plight of farmed animals. There is no need for me to go into detail here of what they have to endure. It’s all there in plain view online at our fingertips, Viva, Animal Aid, PETA etc etc etc etc So please please please at the start of this new year resolve not to keep the suffering of these animals padlocked away in those dark, never explored recesses of your mind, where they can’t give you any inconvenient qualms. The start of 2016 is the time to bring them into the light of day, time for a personal epiphany. 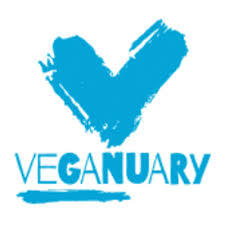 As a personal favour to me take a good look at Veganuary.com’s colourful friendly website. There are recipes, info on eating out, on vegan products from which there are so many to choose these days, and a vegan starter kit. And take a squint at the section on Vegan Myths which blows that Top Ten Resolutions list right out of the water – there are 66 vegan myths listed!!! And the first is of course, “But where do you get your protein?” The answers are all there. 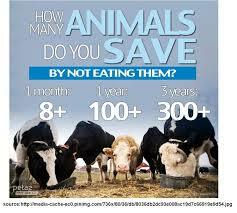 And if you’re not sure you’re quite ready for that, why not consider a couple of meat and dairy-free days a week. You’ll pleasantly surprise yourself how easy it is. It does all make for a kinder world and less suffering – and who would not want that? But honestly, take a look at Veganuary.com anyway – it’s just so darn good! Wishing everyone a happy, healthy and kinder New Year! Previous postWhat a Pig! What a Swine! What a Rat! And there’s more!